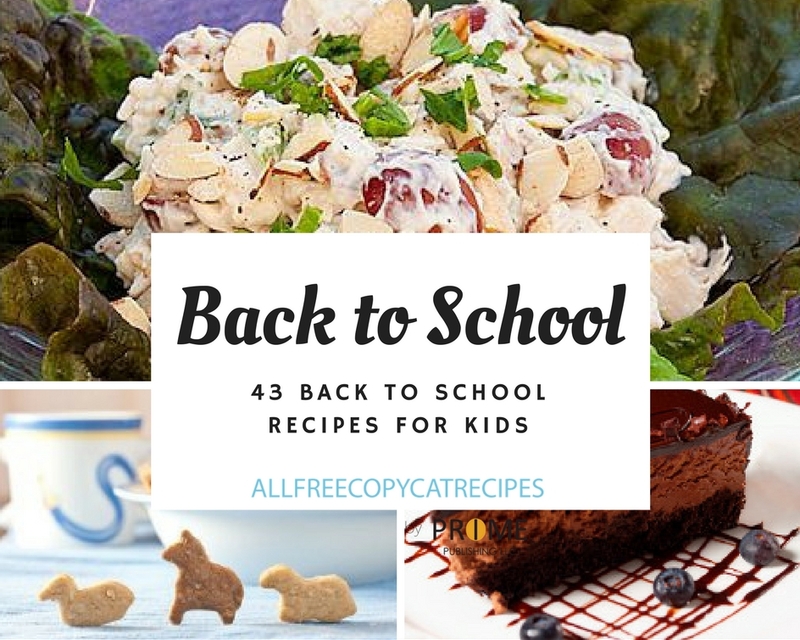 Every mom can benefit from a few tips for getting kids ready for back to school and this collection of Summer's Over It's Back To School: 43 Back To School Recipes For Kids is here to help them out! This list has handy back to school recipes! Getting the kids ready for back to school can be overwhelming and you might find yourself in need of saving on back to school costs. One way you can save a few bucks is by trying our tastefully simple copycat recipes. As an added bonus, we've also included some excellent slow cooker recipes with the help of our sister site, AllFreeSlowCookerRecipes.com. Whether you're looking for healthy breakfast ideas for back to school, back to school lunch box recipes, kid friendly back to school snacks, or back to school recipes and ideas for dessert such as back to school cupcakes, we've got a wide variety for you! Try all of these recipes with your kids when school starts again to keep them full and focused all day long! If you love these recipes, check out these 9 Types of Copycat Girl Scout Cookies: Your Favorite Copycat Girl Scout Cookie Flavors eCookbook! 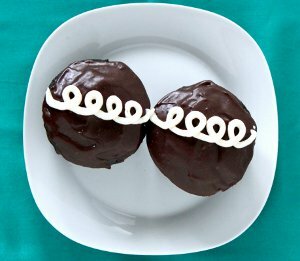 Homemade Hostess Cupcakes For School - Whether you're looking to fill your kids' school lunches with something sweet or just want to try your hand at the nostalgic treat, try this recipe for Homemade Hostess Cupcakes For School. It's one of those brand name cooking recipes you must try! We have a great selection of back to school breakfast recipes, including back to school breakfast recipes that resemble your favorite brand names, as well as slow cooker breakfast recipes. Need a snack? Check out these recipes: Your Top 10 Favorite Homemade Hostess Recipes! Back to school recipes can be exciting and easy with these tastefully simple copycat recipes and excellent slow cooker recipes. Try our slow cooker sandwich recipes or even mac and cheese! Mix and match back to school lunches and snacks with these fun kid friendly back to school snacks. Whether you're looking for simple copycat cracker recipes or recipes for nachos, this list gives you lots of back to school recipe ideas from which to work! Back to school recipes and ideas for desserts can be simple lunch box stuffers or more complex. Either way, have fun with these awesome copycat dessert recipes and slow cooker dessert recipes. What's your favorite school lunch recipe?